Andy Griffith plays a charity worker that befriends Lucy. 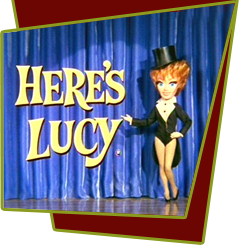 Lucy has a huge crush on the man who says he does good work for wayward youths. Kim isn't so easily convinced, and disguises herself as a member of the wayward youth in order to test just how good this man really is. Special Notes: This is the first major exposure for Randall Carver, who will be in the first season of Taxi (1978-83). The Christian overtones are unusual for this series, with lots of gospel singing.